Looking for a last-second Christmas gift? Just dropped off a new batch of these at Visit Fort Wayne on Harrison. 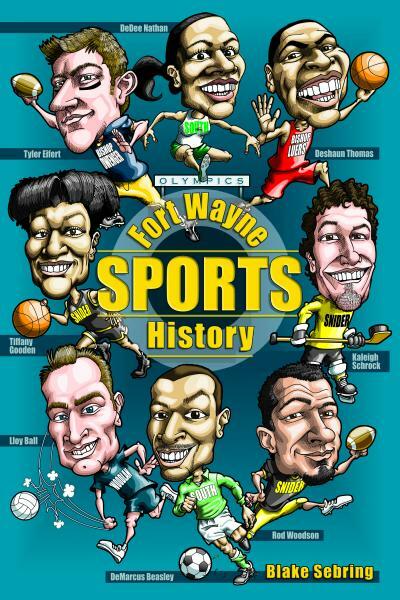 You can also get them at Hyde Brothers on Wells St., The Bookmark on North Anthony, The History Center on Barr St., Komet Kuarters and at the Fort Wayne International airport gift shop. You can also order this one and the other six at www.blakesebring.com. Blake, I'm curious. Did you happen to remember Sharon Wichman in your book? She was an olympic gold medalist swimmer who attended Snider High School in the late 1960's. I went to school with her. They have a mini blurb about her on Wikipedia.